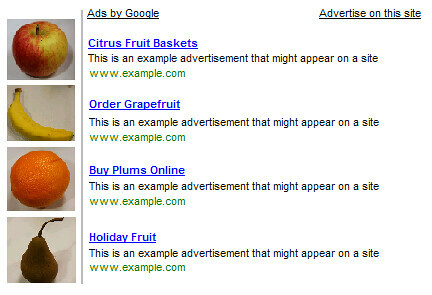 You are here: Home / Earning with Website and Blogging / Google Adsense: Can I place small images next to my Google ads? You may have seen people to put small images next to Google ads with size Medium Rectangle (300 x 250) and Large Rectangle (336 x 280) to gain more clicks and to get higher click thru rate. Can you actually do that? The answer is no. According to Google Adsense, the way you put the images will mislead the visitor that that the images and the ads are directly associated, or that the advertiser is offering the exact item found in the neighboring image. They may click the ad expecting to find something that isn’t actually being offered. That’s not a good experience for users or advertisers. Read more on Inside Adsense.